Dreaming of Summer by the beach? Let me take you to Mykonos…you won’t regret it! 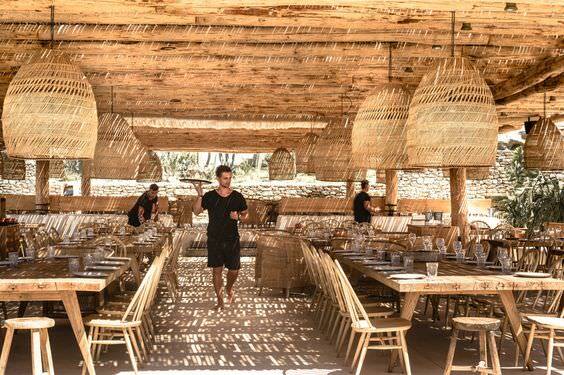 Spread across a peninsula flanked by Kavos and Paraga Beaches on Greece’s Mykonos, the Scorpios beach club has just landed at the top of my bucketlist. With its natural, boho vibe, the place exudes Summer and me-time at the beach. The wood and natural tones are simply gorgeous. I have been lusting after these Shezad suspensions since my last trip to the Maison & Objet trade show in Paris and while they are probably too big for the bedroom I want to revamp, this smaller suspension would be a great alternative to introduce a natural, carefree vibe to the room. So what do you think? Do you fancy going there too like right now! ?